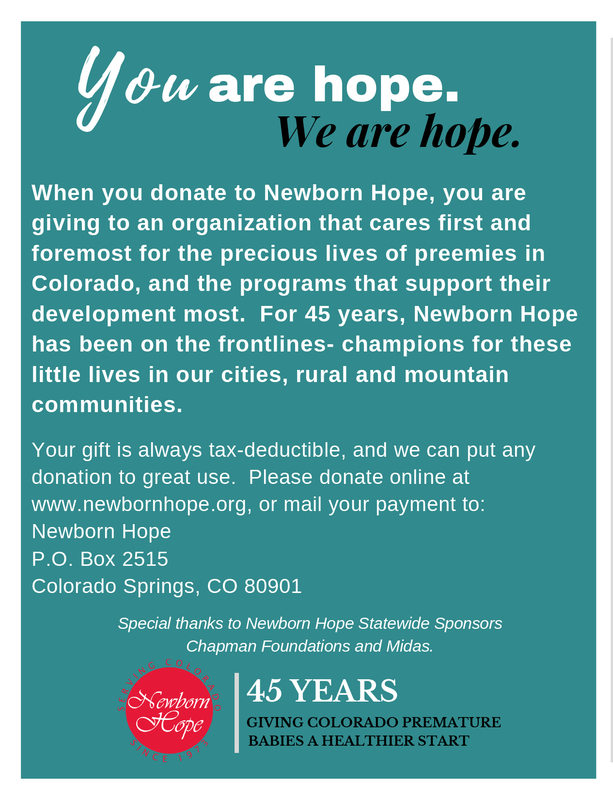 Please feel free to print this form and mail in your donation to: Newborn Hope, Inc.
*Please note all donations made after the event program print date will be recognized the following year. 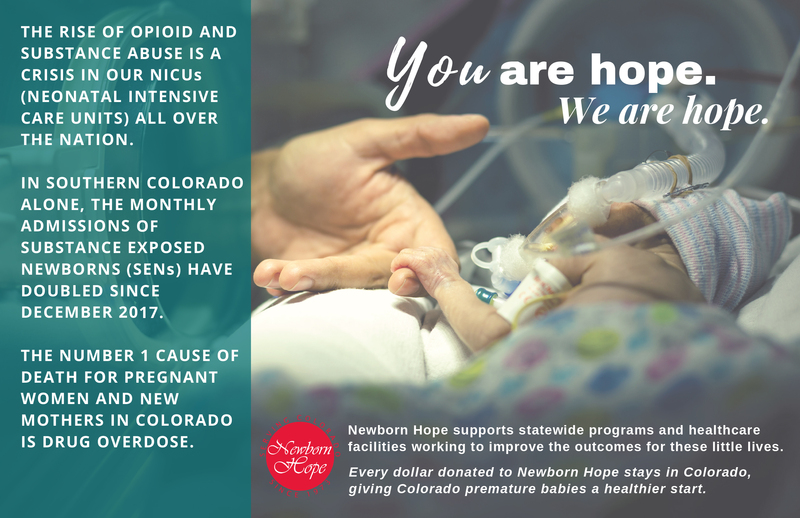 *Only donations made of $250 or above will be recognized in the event program, please see annual report for all donors. Please type your name as you wish it to appear on recognition materials. At which event would you like to be recognized? Select Anonymous if you do not wish to be recognized. 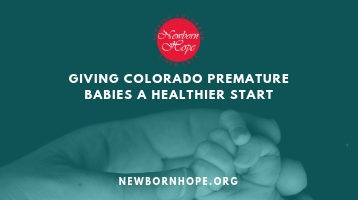 Thank you for "Giving Colorado Premature Babies a Healthier Start." Note: Please press SUBMIT once and wait as your payment is being processed.